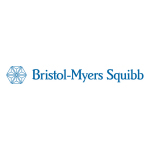 PRINCETON, N.J. & NEW YORK, N.Y.
PRINCETON, N.J. & NEW YORK, N.Y.--(BUSINESS WIRE)--Bristol-Myers Squibb Company (NYSE: BMY) and Pfizer Inc. (NYSE: PFE) will present findings today from a real-world data (RWD) analysis titled, Comparison of Effectiveness, Safety, and the Net Clinical Outcome between Different Direct Oral Anticoagulants in 162,707 Non-Valvular Atrial Fibrillation Patients Treated in US Clinical Practice. This is the largest RWD analysis reporting outcomes among different direct oral anticoagulants (DOACs), including Eliquis ® (apixaban), rivaroxaban and dabigatran, to date. In this analysis, apixaban use was associated with significantly lower rates of both stroke/systemic embolism (S/SE) (hazard ratio [HR]:0.83, 95% confidence interval [CI]: 0.73 to 0.94, p=0.004) and major bleeding (MB) (HR:0.54, 95% CI: 0.50 to 0.58, p=<0.001) when compared to rivaroxaban; and significantly lower rates of both S/SE (HR:0.69, 95% CI: 0.56 to 0.84, p=<0.001) and MB (HR:0.77, 95% CI: 0.68 to 0.88, p=<0.001) when compared to dabigatran. This retrospective observational analysis utilizing pre-specified endpoints included three 1:1 propensity score individually matched DOAC cohorts: apixaban vs. rivaroxaban (n=125,238), apixaban vs. dabigatran (n=54,192), and dabigatran vs. rivaroxaban (n=55,076). The analysis also revealed that in the dabigatran vs. rivaroxaban cohort, dabigatran was associated with a significantly lower rate of MB (HR:0.67, 95% CI: 0.60 to 0.74, p=<0.001) and a non-significantly higher rate of S/SE (HR:1.18, 95% CI: 0.98 to 1.43, p=0.080). It is important to note that, at this time, there are no head-to-head clinical trials comparing DOACs. Anticoagulants, including Eliquis, increase the risk of bleeding and can cause serious, potentially fatal, bleeding. Please see important safety information below for Eliquis, including BOXED WARNINGS. Study Details: This was a retrospective observational cohort analysis of non-valvular atrial fibrillation (NVAF) patients utilizing pre-specified endpoints and analyzed using propensity-score matching (PSM). It includes NVAF patients (n=162,707) from ARISTOPHANES (Anticoagulants for Reduction In STroke: Observational Pooled analysis on Health outcomes ANd Experience of patientS), an ongoing real-world data analysis initiative that now includes anonymized patient records from more than 300,000 patients. The analysis presented at ACC includes patients who initiated apixaban, rivaroxaban or dabigatran, from Jan. 1, 2013, to Sept. 30, 2015, pooled from 5 large databases, including CMS fee-for-service Medicare data, Truven MarketScan® Commercial Claims and Encounter and Medicare Supplemental and Coordination of Benefits Database, the IMS PharMetrics Plus™ Database, the Optum Clinformatics™ Data Mart, and the Humana Research Database. After 1:1 DOAC-DOAC PSM in each database, the resulting patient records were pooled. Patients were followed for a mean of six months. Cox models were used to evaluate the rates of S/SE and of MB across DOACs within one year of therapy initiation. Patients with NVAF were included regardless of the dose of DOACs used. Limitations of Real-World Data Analyses and of ARISTOPHANES: Real-world data have the potential to supplement randomized controlled trial data by providing additional information about how a medicine performs in routine medical practice. Real-world data analyses have several limitations. For example, the source and type of data used may limit the generalizability of the results and of the endpoints. Observational real-world studies can only evaluate association and not causality. Due to these limitations, real-world data analyses cannot be used as stand-alone evidence to validate the efficacy and/or safety of a treatment. It is important to note that, at this time, there are no head-to-head clinical trials comparing direct oral anticoagulants. In this analysis, although PSM was used to control for multiple confounders, there is still potential for residual bias. Claims for a filled prescription do not indicate that the medication was consumed or taken as prescribed. Also, medications filled over the counter or provided as samples are not captured in the claims data. 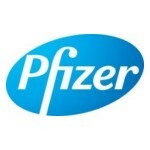 BMS-Pfizer Alliance Real-Word Data (RWD) Program: ARISTOPHANES is part of the Bristol-Myers Squibb-Pfizer Alliance global RWD analysis program, ACROPOLIS™ (Apixaban ExperienCe Through Real-WOrld POpuLatIon Studies), designed to generate additional evidence from routine clinical practice settings to further inform healthcare decision makers, including healthcare providers and payers. The ACROPOLIS program includes retrospective, outcomes-based analyses from over 16 databases around the world, including medical records, medical and pharmacy health insurance claims data, and national health data systems. Combined P-gp and Strong CYP3A4 Inhibitors: Inhibitors of P- glycoprotein (P-gp) and cytochrome P450 (CYP3A4) increase exposure to apixaban and increase the risk of bleeding. For patients receiving ELIQUIS doses of 5 mg or 10 mg twice daily, reduce the dose of ELIQUIS by 50% when ELIQUIS is coadministered with drugs that are combined P-gp and strong CYP3A4 inhibitors (e.g., ketoconazole, itraconazole, or ritonavir). In patients already taking 2.5 mg twice daily, avoid coadministration of ELIQUIS with combined P-gp and strong CYP3A4 inhibitors. pharmacokinetic data suggest that no dose adjustment is necessary with concomitant administration with Eliquis. Medication Guide, available at www.bms.com . 1 Li, X et al. Effectiveness and safety of apixaban versus warfarin in non-valvular atrial fibrillation patients in “real-world” clinical practice. Thrombosis and Haemostasis. 2017; 6, 1,007-1,216. https://doi.org/10.1160/TH17-01-0068.